Lou's real estate career, spanning approximately 35 years, reached unprecedented heights in 2013. 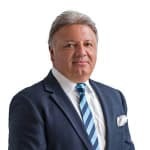 Director and OIEC of the renowned Harcourts Judd White Glen Waverley - and responsible for managing his multi award-winning Property Management Department - Lou was named the Real Estate Institute of Victoria's Residential Principal of the Year, 2013. Lou Paola doesn’t currently have any leased properties on Homely.